Here you will find sugarcraft tools & equipment for hobby bakers and professional cake artist alike. Experience a different style of shoes, boots, wedges and sandals. This book contains adjustable patterns to create unique shoe designs. Please be aware that this is a leaflet kit and is not bound together. 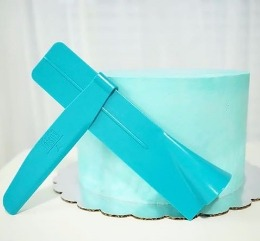 Perfect 90 degree Cake Scraper which gives you perfect edge everytime!!! Approx: 6.3 inches / 16 cm (h) x 7 cm (w) , Base 7 cm x 5 cm Suitable for buttercream, ganache, fresh cream etc. 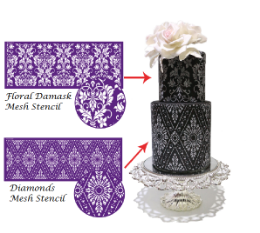 Perfect 90 degree Cake Scraper which gives you perfect edge everytime!!! Approx: 12 inches / 30 cm (h) x 7 cm (w) , Base 7 cm x 5 cm Suitable for buttercream, ganache, fresh cream etc.